This DIY night light makes a great addition to any child’s room (especially those who are interested in the solar system or even Star Wars)! 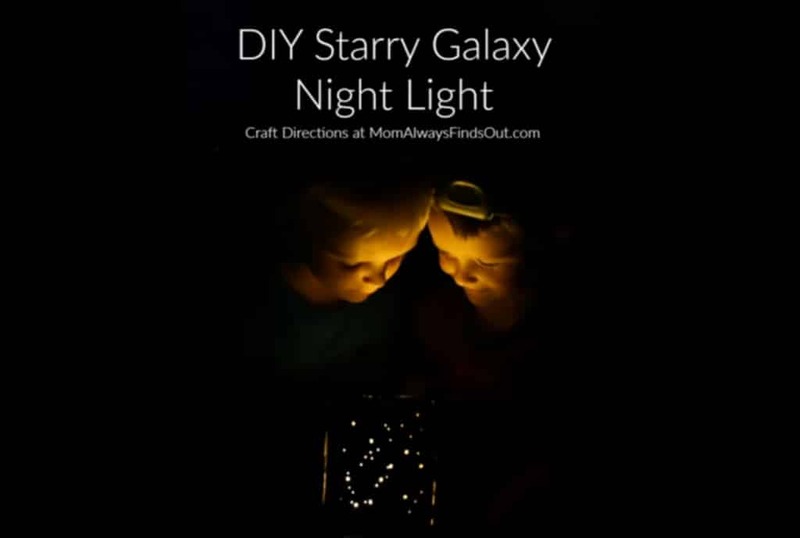 Today, we are going to tell you how to make this Starry Night Light projector that was created by the ever inventive and awesome Youtuber, Nicole B (owner of MomAlwaysFindsOut). Give it a try for yourself and get your kids involved! 1) Take your thumbtack and punch holes all over the empty tissue box. 2) Next, place your battery operated tea light inside the tissue box. 3) Then, turn your tea light on and all the other lights off. Enjoy your awesome Starry Night lights projector! Looking for more fun, family-friendly projects? Be sure to check out these DIY garden ideas. They’re perfect for spring! Find out how to create your own garden ladybugs, or your own clay pot lighthouses, and even a road sign to your favorite magical worlds! Looking for even more?! My, you are industrious!! Here’s another awesome kid-friendly project that you can complete as a family: the DIY recycled bird feeder! It is easy to make and your feathered friends will certainly enjoy it!